Happy Wednesday! 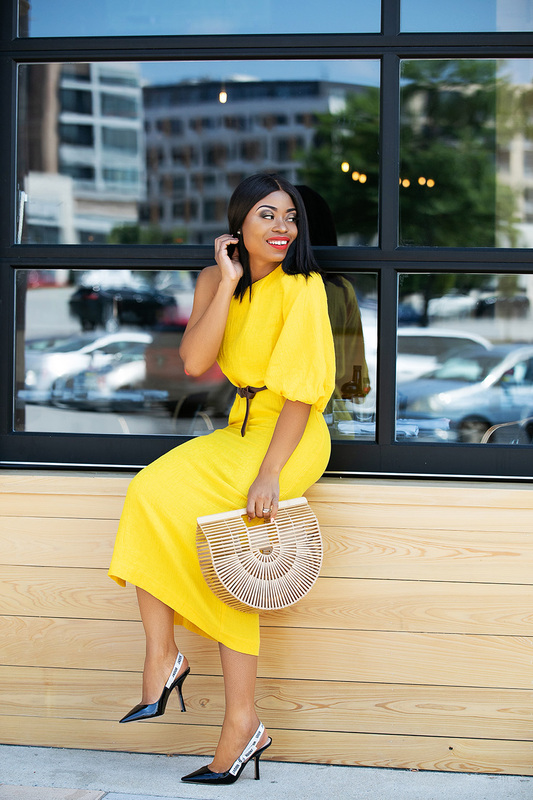 Bold and yellow to brighten up the work week. This dress needs no introduction. It's a fun dress and it will definitely make you stand out in the room. Fell in love with not only the color of the dress, but also side button details, puff sleeve and one shoulder neckline. This Mara Hoffman off shoulder dress can be dressed up in heel or flats depending on the occasion. For me, I added a brown belt to accentuate the waistline. To complete the bold yellow look, I paired it with a black sling back pumps in patent for create a classy feel. Wow stunning yelow! Love to have it. I don't usually try warm colours like yellow and red but seeing this I think I should start flaunting them. Will definitely buy some yellow from my favourite shopping mall near dubai metro and add to my wardrobe.